Property will charge 50% of the remaining balance from the used credit card at least 3 weeks before arrival date. The reception will get in touch with you about the detailed procedure after the booking has been made. In case of a no show, property will charge the entire outstanding balance. Dizzy Daisy Downtown was one of the first hostels opened in Krakow. In almost 15 years of our existence, we have provided thousands of people from all over the world a comfortable stay in our city, and hence the popularity and renowned name of Dizzy Daisy among tourists and backpackers. Come to us and you won't be able to keep away for a single night! DDD is located on Pedzichow Street, only 10 minutes walking gets you to the main square. The same distance separates us from the main train&bus station. Dizzy Daisy is housed in a XIX c., two-story tenement building that has been completely renovated, and is modern and functional. In Dizzy Daisy Downtown we offer: studios (twin room + triple room + bathroom), apartments and spacious multi-person dorm rooms with private lockers. A cozy common room finds itself right behind the reception. Internet access (2 computers and wifi in the entire building) and tea&coffee is free of charge all day and all night! Besides this, a washing machine and a dryer are at your disposal, which you can use at any time for the tiny price of 5 pln per load. We offer free baggage storage, which resolves problems of early and late flight or train times. The reception of the hotel is open 24 hours, and the people working there are eager to help. We will provide you with information on sight-seeing, tourist attractions, the best clubs and events. It is worth asking us about either renting a car or picking the best jazz club! We do sell tours to Auschwitz, Wieliczka Salt Mine and many many more! We guarantee that a dance club doesn't find itself beneath the floor of your hostel room, as it does in many of Krakow's tenement buildings, and outside the window you won't see a swarm of loud partiers. The building is equipped with monitoring, extra safety precautions, and is protected by a security service - you can sleep assured. What's most important, is that DDD is a hostel with particularly attractive rates. 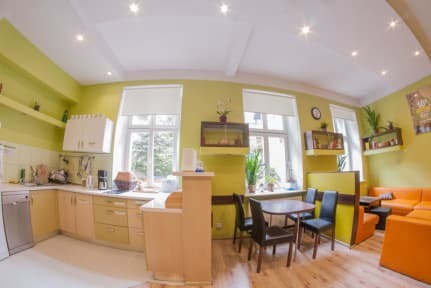 Visit us then, visit one of the oldest* and most established hostels in Krakow. Just stayed there for one night. A nice hostel. Pro: • Location is somehow near MDA just 10-15 minutes walk. • Staff is friendly. • The room is very big and has a lot of space. 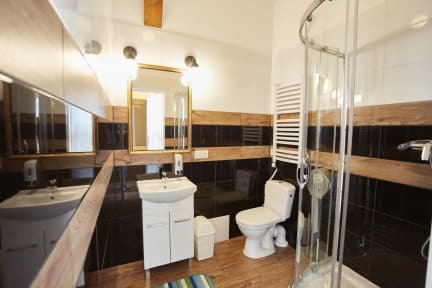 Cons: • The shower “room” has a window, although it is blurred, you can still see the inside. The hostel locates in a very quiet but convenient area, kinda between the city center and the central station. I did enjoy my staying there since it was clean and convenient. However, the staffs there probably need more training. They were really slow, and may not know all the information. Besides, some of them were quite unfriendly. I have to say, it is a place to stay, but hard to appeal me back again. Located between the old town and main train station. Wifi not working throughout the whole hostel. Good price and we stayed in a private twin room with shared toilet. Heater not working well in the room. All staffs were very friendly except the one cleaning the pantry was very rude. Beds were clean and toilet as well.